I first heard about Manning Marable and his Malcolm X project back in 2006. I looked forward to reading this book which, at that time, was projected to be released in 2009. That date was later changed to 2010. Marable's health issues and the release of new Malcolm X documents pushed the book back even further. It was finally released on April 4, 2011. Sadly, Marable died just three days earlier due to complications related to Sarcoidosis. I've read The Autobiography of Malcolm X twice and I always thought that Malcolm's life's story was very compelling. So with Malcolm X: A Life of Reinvention, I was interested to see what new light it would shed on the life of someone who is so important to black culture and American history. Malcolm exaggerated parts of his early life as a hustler and drug dealer. A lot of the inconsistencies between Malcolm's life and the story told in The Autobiography, were due to Malcolm's desire to place Elijah Muhammad in the most positive light possible. Malcolm exaggerated his past in order to make his transformation through Muhammad's teaching appear all the more dramatic and powerful. The Nation of Islam's strategy of black separatism was never a truly plausible solution to the civil rights issue. Malcolm spent most of his public career urging blacks to separate from whites, but neither he nor the Nation of Islam ever had an actual plan to establish a separate black society. This is a critique that I always had of Malcolm's position during the civil rights era. I don't want to take anything away from the work that was done by Malcolm to advocate for and empower black people. It was vital. But the nonviolent movement of Dr. King was the major catalyst for large-scale legislative improvements in civil rights. Malcolm didn't leave the Nation of Islam because of moral issues. I always thought that the primary basis for Malcolm's split with the Nation of Islam had been his discovery of Elijah Muhammad's adulterous relationships. But I learned that these affairs were a somewhat minor part of what led to the split. The major reasons were Malcolm's embrace of a more political stance in the fight for civil rights and his desire to seek a more orthodox form of Islam. Malcolm struggled to reinvent himself late in his life. After leaving the Nation of Islam, Malcolm was grasping for a way to redefine his standing in the public eye. He often made speeches with conflicting messages in an attempt to balance his willingness to use radical means with his desire to appeal to wider audience. He formed a religious organization (Muslim Mosque International) and a secular organization (Organization of Afro-American Unity) in order to have something for everybody, but neither was able to really gain traction. Malcolm's transformation, as it was portrayed in The Autobiography, was overly simplified and largely inaccurate. Malcolm's travels certainly changed his view of Islam and his perspective on the struggle for civil rights, but he never morphed into a nonviolent integrationist in the way that Martin Luther King was. Malcolm's embrace of orthodox Islam, did lead him to change his views on race, but he never stopped advocating for blacks to use violence, if necessary, to defend their rights. The only major criticism I have is that there are places in the book where Marable draws definitive conclusions without citing solid sources. Marable writes conclusively about some of Malcolm's relationships, when he admittedly has only “circumstantial evidence.” He also includes conspiracy theories surrounding Malcolm's assassination that are more speculation that fact. I realize that all biographers try to connect the dots and read between the lines to some degree so I won't be overly critical of Marable. Just something to keep in mind as you read. 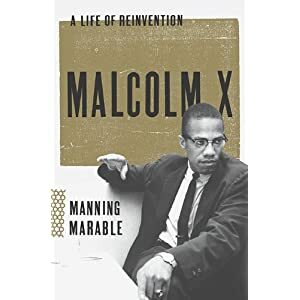 If you have (or have not) read The Autobiography of Malcolm X , and you're interested in a more in-depth look at his life, I definitely recommend Malcolm X: A Life of Reinvention.